Riverton, 38 km from Invercargill on the Southern Scenic Route is one of the oldest European settlements in the country. In the late 1700's it was a supply base for whalers and sealers from New South Wales (Australia). Today this popular seaside village with its fishing boats retains many buildings in excess of 100 years old and is becoming increasingly popular as a holiday resort with its safe swimming at Riverton Rocks. Whether swimming, surfing, sailing or fishing; native bush walks, shopping or relaxing with a coffee, Riverton has a wide selection of attractions to choose from. While in Riverton be sure to also visit Te Hikoi Southern Journey Heritage Museum for an engaging insight into the unique and dramatic history of Mâori and European settlement. Surf’s up at nearby Colac Bay, where “The Porridge” ranks among New Zealand’s top surfing spots. Look carefully from Te Wae Wae Bay and you may just catch a glimpse of New Zealand’s largest pod of Hector’s dolphins. Known by Kai Tahu as Te Puka o Takitimu, the island is the anchor stone of the legendary Takitimu waka/ canoe, captained by Tamatea and wrecked at the mouth of the Waiau River. Access to the island is tide-dependent. Cosy Nook is a rocky cove sheltering several fishing boats and cribs (holiday homes). 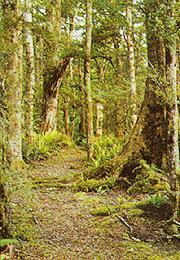 Early European settlers reported Pahi’s village – a Kai Tahu settlement of forty houses was situated here. The small island, Matariki, was once a defended pâ site. Starting at Round Hill Road, 15 km west of Riverton, the Long Hilly Track explores regenerating native bush and relics from the little-known days of early Chinese goldmining activity in Southland – the largest Chinese settlement in New Zealand. The gravelled loop-track leads through a tramway cutting to old earth dams. A wide variety of native plants and birds can be found along the way. A large statue of a surfer riding a wave greets visitors to Colac Bay. First settled by early Mâori, the rocky coastline, great sandy beach and surf continue to attract people to this small settlement. A popular seaside and holiday resort, Riverton is known as the ‘Riviera of the South’. Riverton is rich in early Mâori history and is one of the earliest European settlements in New Zealand. Visit theTe Hikoi Southern Journey Heritage Museum and take a photo with the infamous paua shell on the main road. Mores Reserve, at the top of Richard Street (turn left at the end of the bridge over the estuary and follow the signs), offers several short walks and great views over Southland and Foveaux Strait towards Stewart Island/Rakiura. At the end of the ‘Rocks Highway’, this is a privately owned recreation reserve and a great place for walking, picnicking, fishing, and bird watching. 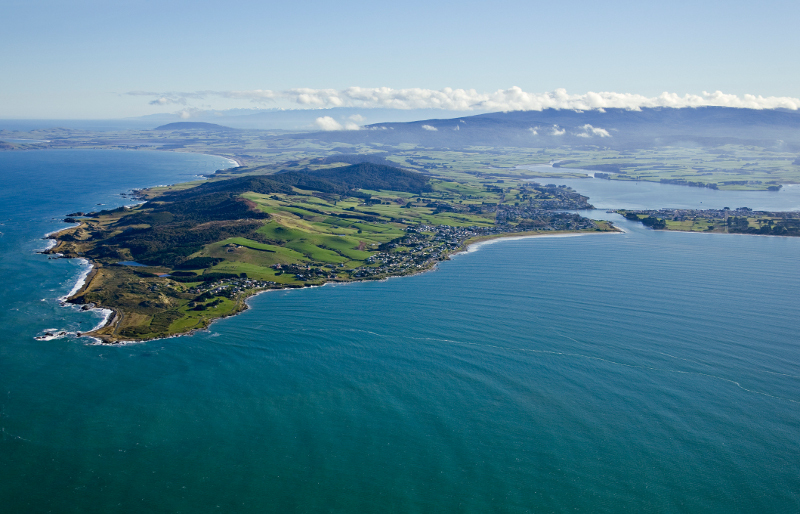 It offers spectacular views of Taramea Bay, Invercargill, Bluff and Stewart Island/Rakiura. A short walking track starts at the eastern entrance to Riverton (on the left hand side of the road heading to Invercargill) and leads down to loop through the 6 hectare flax wetland. This reserve provides a sanctuary for whitebait and other native fish. Part of the walk is along the beach at the edge of the estuary itself. Visit the vintage farm machinery museum located at Thornbury or the nearby Templeton Flax Mill and Heritage Museum (open by arrangement). Located ½ km north of Orepuki, Gemstone Beach is known for its constant state of change from sand to stones with the storms and tides. Semi-precious gems such as garnet, jasper, quartz and nephrite can often be found on the beach. Also a great beach for surfing and surfcasting.